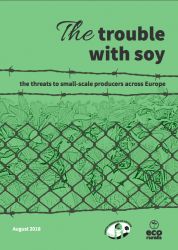 The trouble with soy : the threats to small-scale producers across Europe is a 2018 report by Eco Ruralis and the European Coordination Via Campesina, which deals with recent EU activity on the topic of ‘protein independence’. Whilst there has been a focus on marketing the sustainability of European plans to encourage the uptake of soybean and other protein crop production, the report finds that such schemes pose little challenge to the status quo of corporate-led industrial agriculture. The trouble with soy further highlights the dangers of transplanting industrial-scale soybean or other protein crop production for small-scale farmers and food systems. 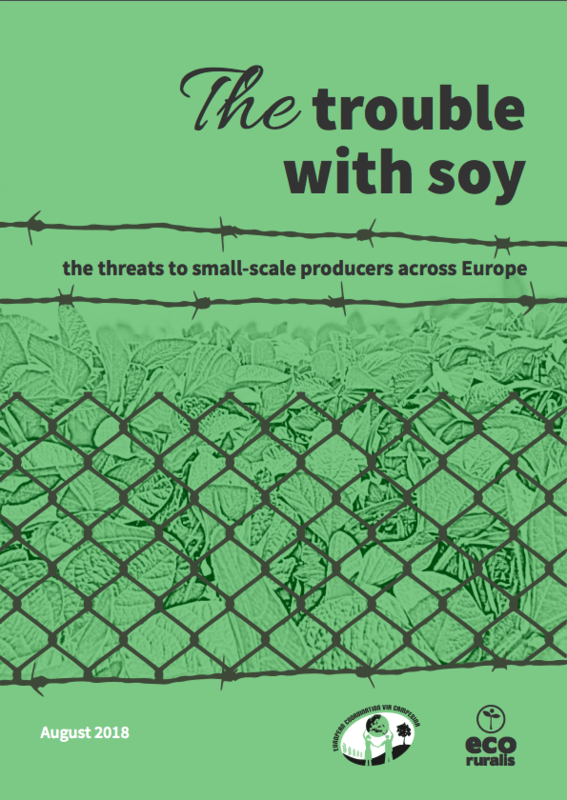 The report draws links between land grabbing for soya megaprojects and the intensification of land concentration in Central and Eastern European countries. It proposes that agroecology should be the centre of any truly sustainable protein plans. Find the report and read more on the European Coordination Via Campesina website.